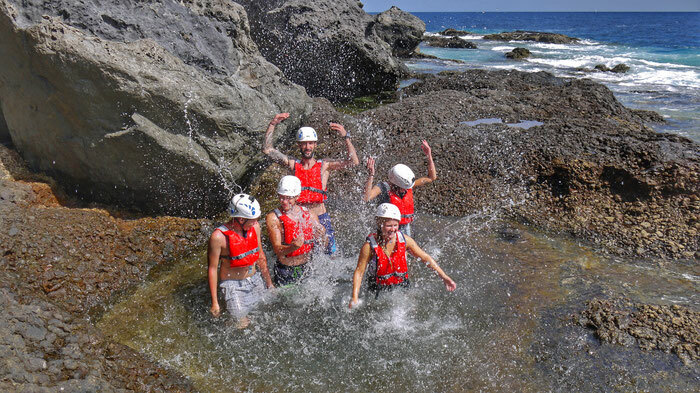 Coasteering is everything your parents told you not to do at the beach. It’s exploring a stretch of coast at sea level at the point where sea meets land. 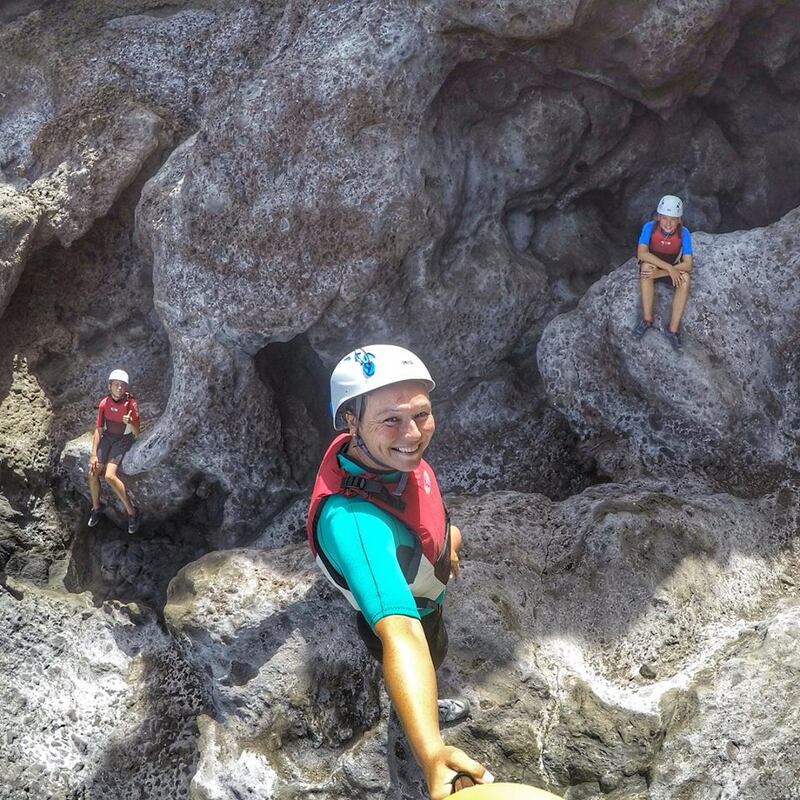 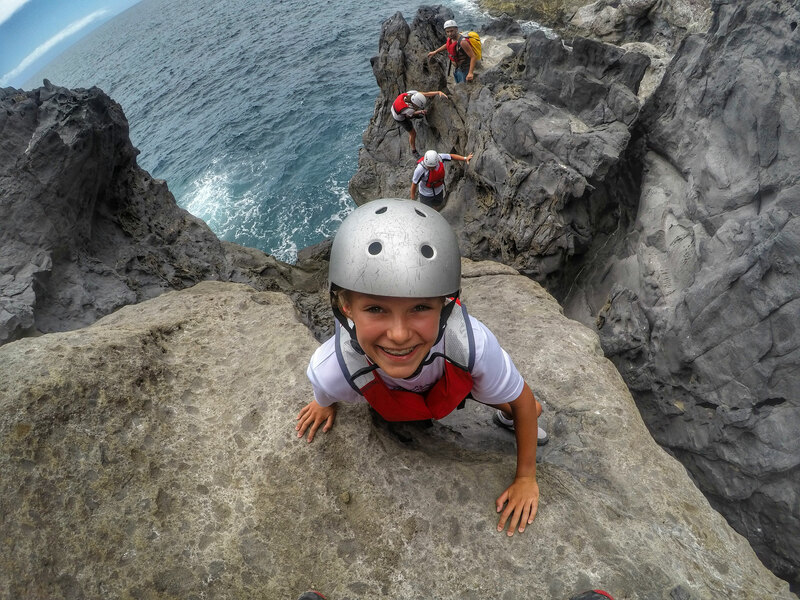 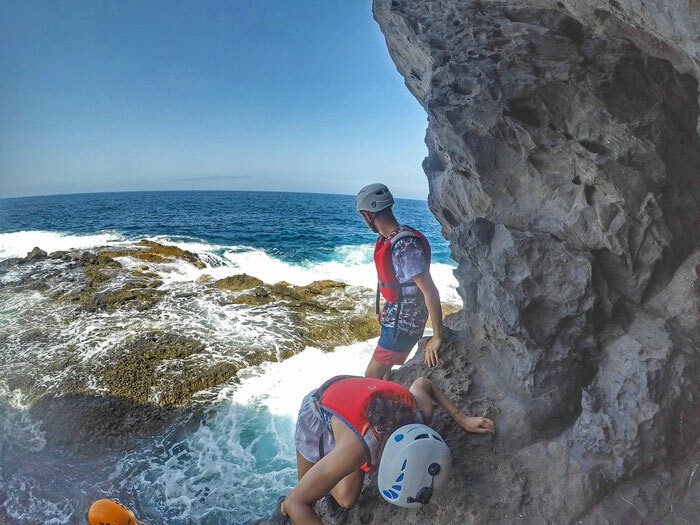 It’s a bit of easy scramble climbing, a bit of rock hopping, a bit of cliff jumping and adventure swimming. 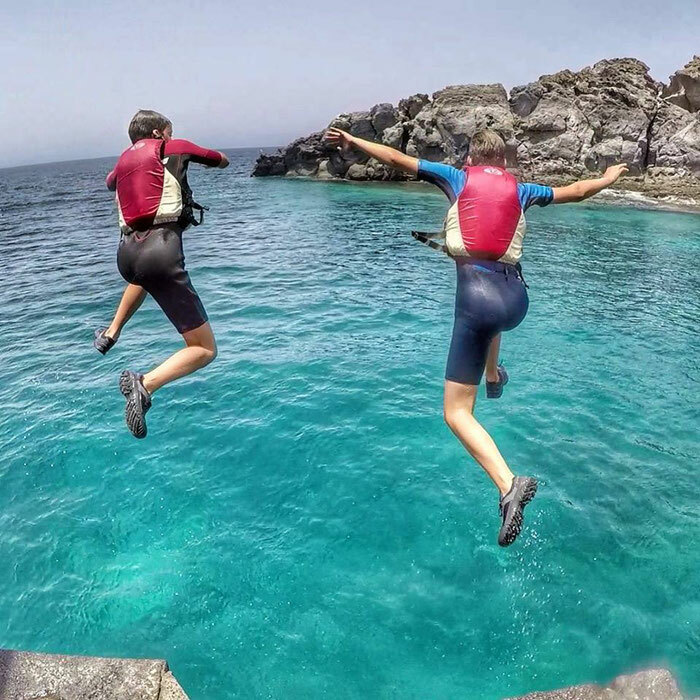 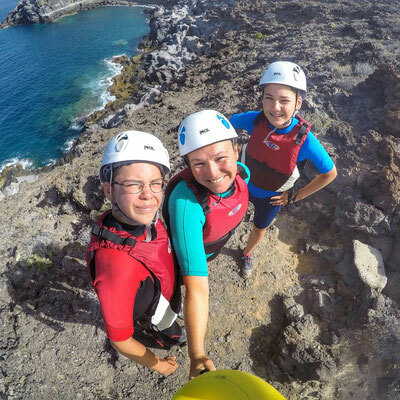 We guarantee that this adventure will get your pulse racing as you swim through rock pools and scramble along rocky coastline and take on cliff jumping from 2-10 meters (jumps are always optional). You don’t need any experience just a real sense of adventure and a wiliness to take on new challenges. 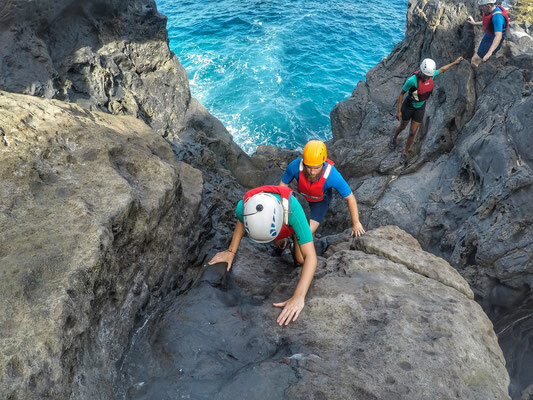 It’s ideally suited to all abilities as well, so you can be a novice, an adrenaline junkie, an outdoor enthusiast – everyone can have a great time out there. 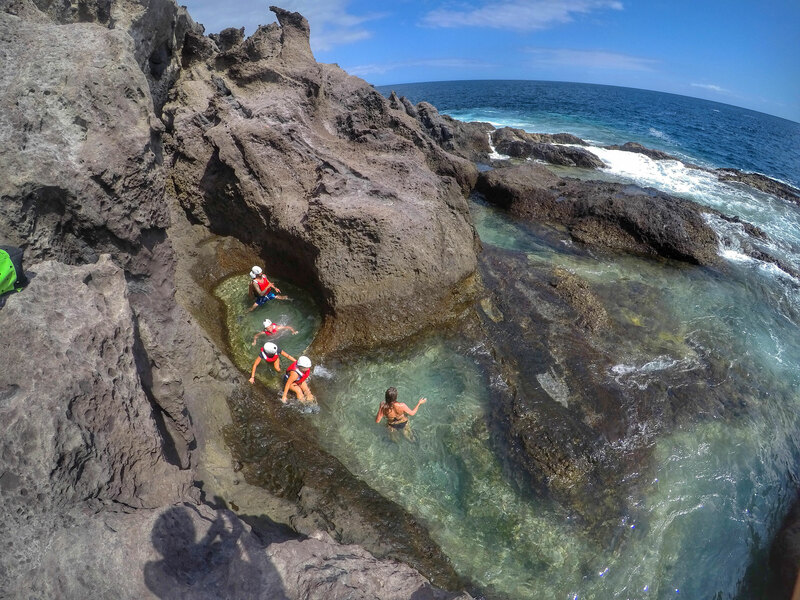 We build it up from quite tame, then slowly build it bigger and bigger. 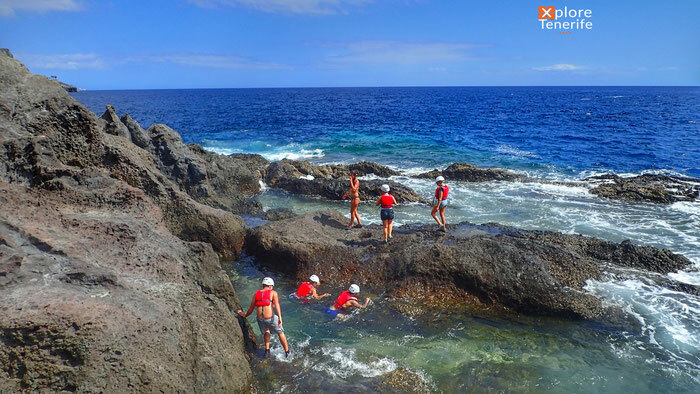 This activity takes place every Tuesday and Thursday at 10:00 and usually lasts around 3 hours.